Most people who visit online dating sites are there in order to find love and a relationship. However, the sad reality is that there are a few individuals who lurk on these sites in order to carry out online dating scams. They prey on people’s weaknesses, often targeting Christian singles because they think they are less likely to be suspicious. Furthermore, they try to take advantage of their propensity for kindness. As a Christian, it can be hard to accept that some people can be underhand. 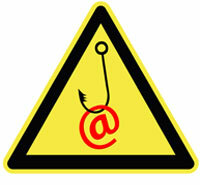 However, it is important to protect yourself from potential scams on dating sites and the risk of being hurt. So here are some tips on how to spot and weed out scammers in order to find genuine dates with honest intentions. Scammers have a well-rehearsed script. They will flatter you and shower you with compliments. They’ll use psychological tricks and even emotional guilt. If something doesn’t seem right, trust your instincts. When you start dating, make sure it is a reputable dating site. Match.com for instance, makes safety a top priority. Every profile and photo is screened for inappropriate content before it goes live. In addition, they have specific guidelines to help keep yourself safe both on and offline. There are many religious scam stories of pastors who consider themselves to be good Christians but are really all about the money. They sometimes work on a multilevel marketing basis, getting others to sell their merchandise in exchange for a share of the profits. It’s great if your date is passionate about Christianity. However, if he appears to be mesmerized by a particular preacher, and keeps trying to persuade you to buy his books or DVDS - then be on your guard. Unfortunately, some preachers may have dubious teachings with cultish elements that have no place in Christianity. If you feel you are being judged by your new partner or made to feel guilty about something. While at the same time he seems to be trying to indoctrinate you to the teachings of his particular pastor, then alarm bells should ring. When looking for a dating site specifically for Christians, ensure it is a reputable one with careful screening and monitoring of profiles. With ChristianMingle you can filter potential matches to the denomination of the church that you attend. Furthermore, safety is regarded as prime importance alongside Christian dating principles. That’s why they even have a toll free number that you can contact in case you are worried about activity that appears to be suspicious. One of the most common online dating scams is known as the “Sweetheart Scam". You’ve met someone online who is currently working out of the country for work. They will start off by being really attentive to you. Then, they will ask you for a favor to cash a check or money order for them and then wire the money to them. This is a trap to steal money from you. Never be afraid to say no. If this was a genuine date, they would have too much respect for you to request something like that. If you’ve gotten to know someone online who tells you they feel a close connection to you, but they keep making excuses why they can’t meet you, or they’re working overseas for extensive lengths of time - then be wary. Their picture may not even be real, but stolen from another internet site. They may shower you with gifts which might have been bought using a stolen credit card. Then they will tell you they are in some kind of difficulty and need financial help from you. Always refuse because none of it is true. a) They claim to have fallen in love with you within the first day or two even before having met you. b) Almost immediately they claim that it was divine intervention brought you together. c) They ask you a lot of questions but try to avoid telling you too much about themselves. If you have any concerns, ask questions. Scammers don’t like it when you ask them personal questions. They will often try to avoid them and you may find there are discrepancies with what they tell you. A genuine date, however, will be more open to talking about themselves and trying to find shared interests with you. Educating yourself is the best weapon of prevention to being scammed. 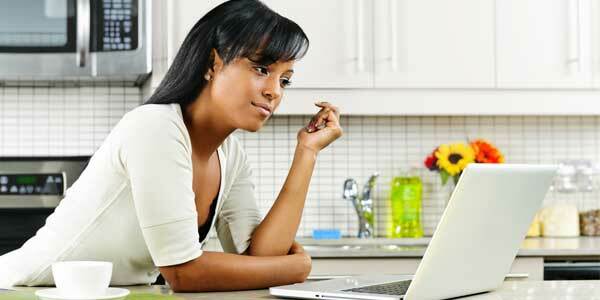 Now that you can recognize some of their tricks, you can sign up to an online dating site with confidence. So visit Zoosk today to meet genuine Christians looking to find love and a committed relationship.